Chris Woodford had his first national magazine article published at the age of 13 and has been writing about science and technology ever since. After graduating from Cambridge University with a degree in Natural Sciences, he started his career in IBM's publishing division, then trained as an advertising copywriter in London with legendary maverick John Gillard. 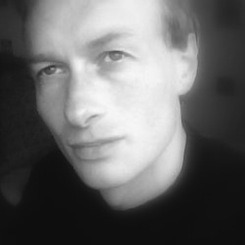 Quickly concluding that crisp packets and junk mail could never do justice to his literary ambitions, he moved into educational publishing as an editor at Dorling Kindersley (DK) just as it was pioneering electronic books in the mid-1990s. Since then, he's written, co-written, and edited dozens of science education books, which have been translated into around 20 different languages. Many of them are published by DK, including the bestselling "Cool Stuff" books, which have sold nearly four million copies worldwide. He has also helped DK to produce award-winning children's books for TV scientists Richard Hammond, Robert Winston, and Johnny Ball. In 2005, ABC-Clio published his book about the social impacts of the Internet, covering such diverse topics as cyber-crime, Internet warfare, and the death of privacy. Keen to combine the old media and the new, he also runs a popular science website, Explain that Stuff, which demystifies everyday science for around a quarter of million readers every month. I found Andrew's name repeatedly cropping up in connection with books I'd enjoyed (notably those riveting railway histories by Christian Wolmar and Daniel Tammet's astonishing "Born on a Blue Day"), and decided there was probably no better agent than one who'd put books on my own shelf. Although I've worked with agents before, Andrew's personal approach, rapid responses, and use of incisive, first-rate readers really set him apart. I'm delighted to be represented by Andrew. 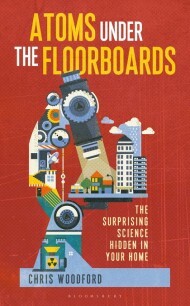 Congratulations to Chris Woodford who has won the book category in the 2016 Science Writing Awards awarded by the American Institute of Physics Atoms Under the Floorboards: The Secret Science Hidden in Your Home. Woodford chose to explore writing about environmental topics because “communication about the environment is a major failure – possibly the biggest and most disastrous for the scientific community,” he said. Woodford has written, co-written, and edited dozens of science education books, including the best-selling “Cool Stuff” books, which have sold nearly 4 million copies worldwide. He has also created a science education website: explainthatstuff.com. Italian rights in Danny Orbach’s The Plots Against Hitler. Thai rights for Daniel Tammet’s Born on a Blue Day. French rights in Casey Watson’s A Last Kiss for Mummy. Chris Woodford’s Atoms Under The Floorboard sold to Taiwan and Russia. The Daily Mirror carried a big feature on Chris Woodford’s Atoms Under the Floorboards last week.